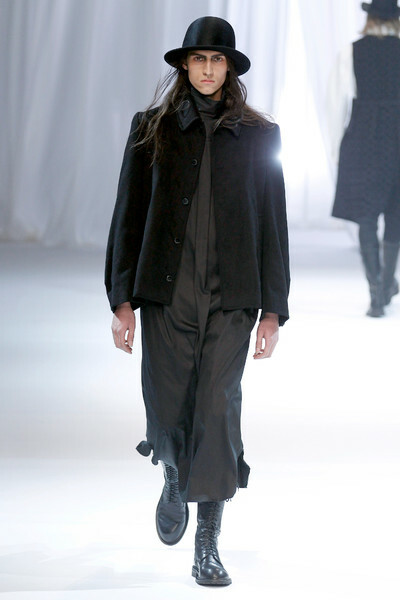 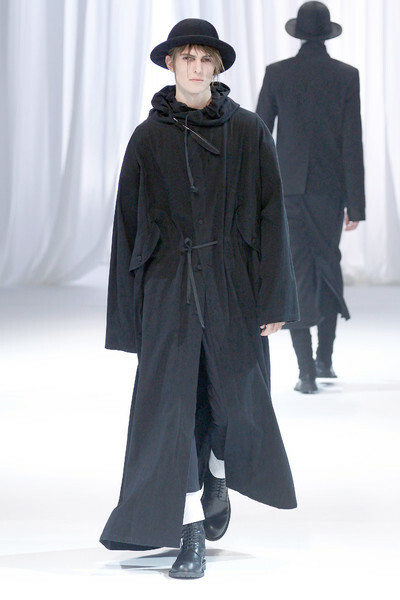 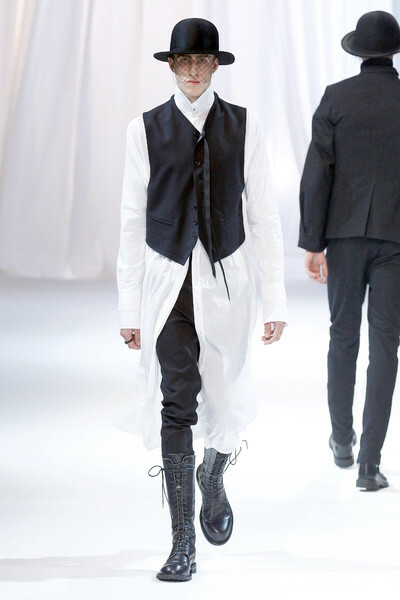 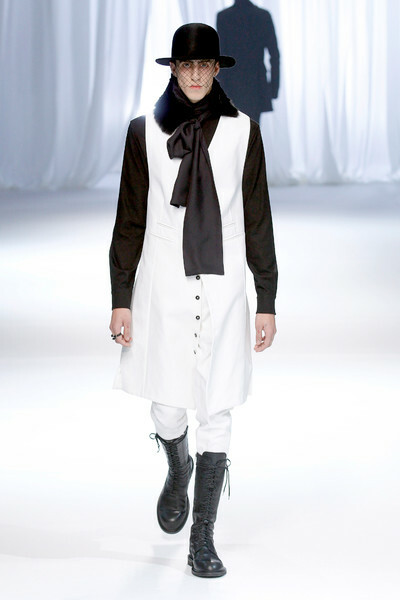 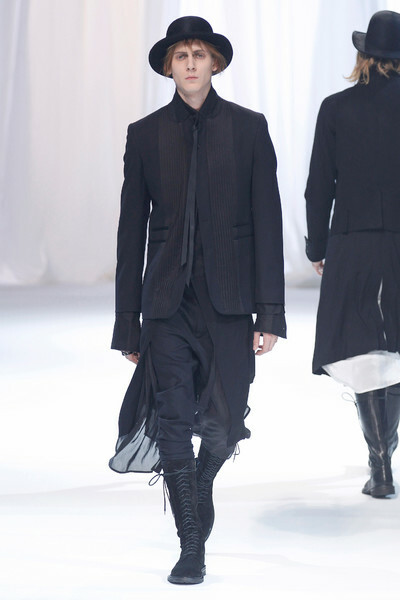 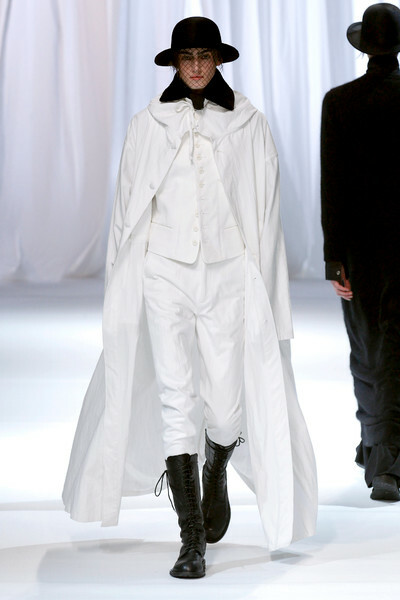 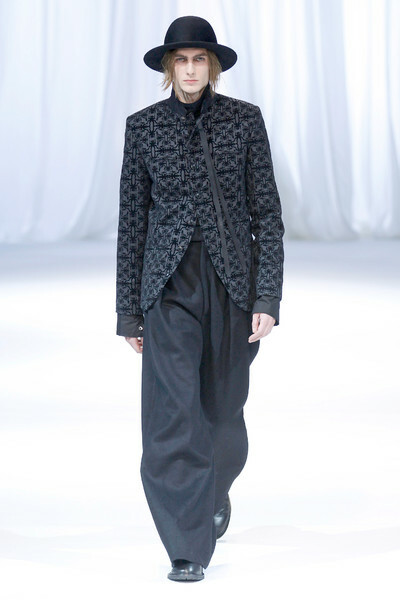 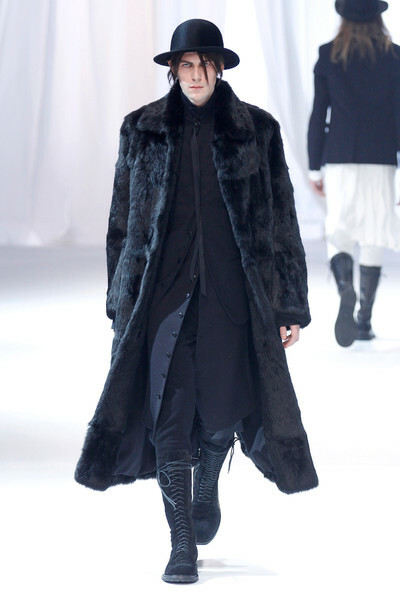 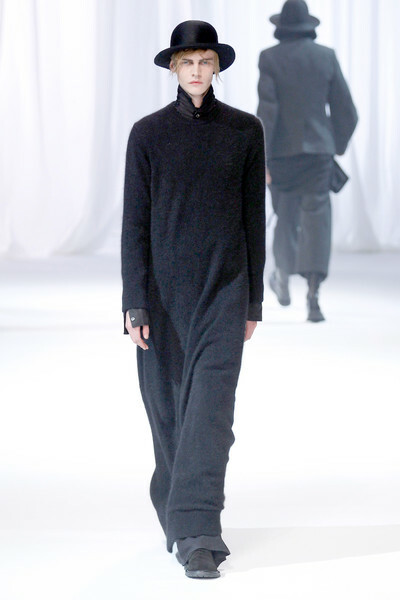 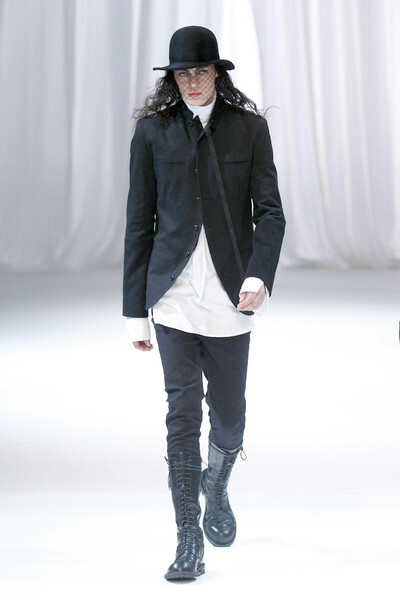 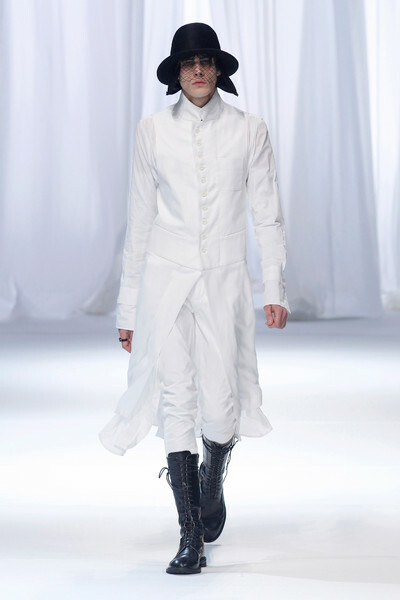 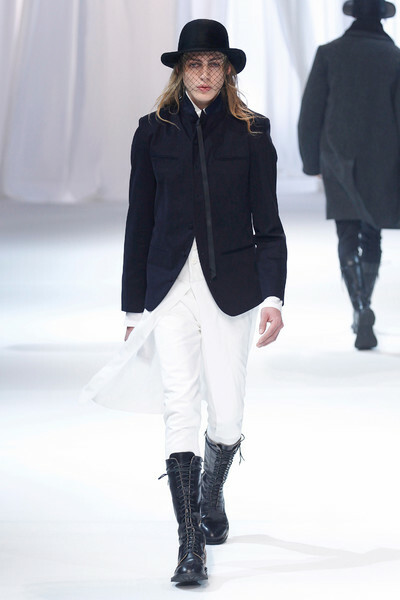 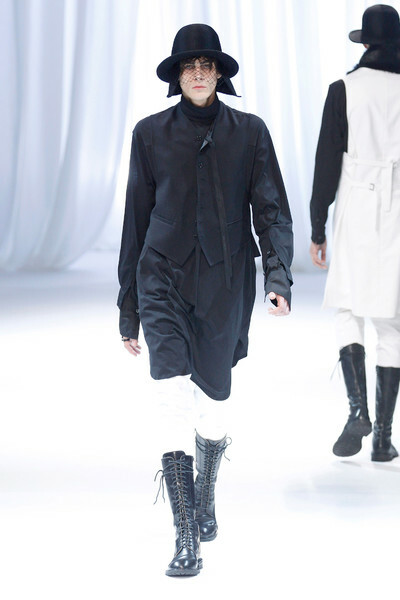 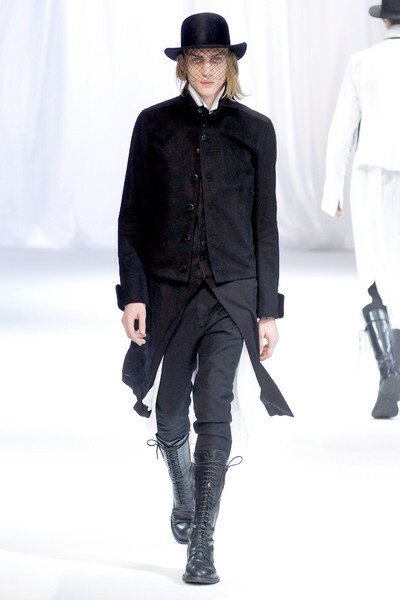 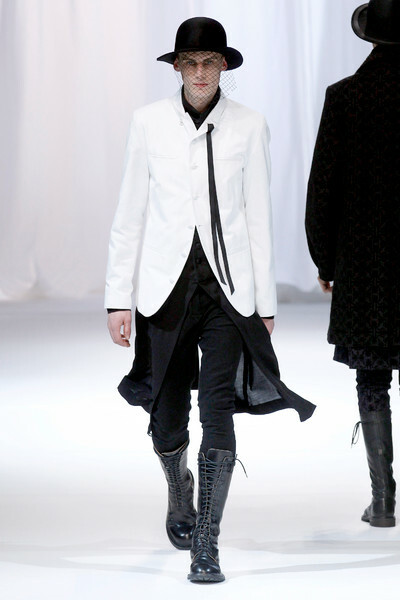 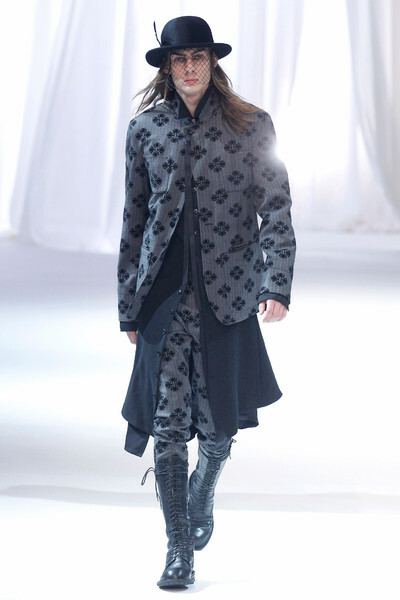 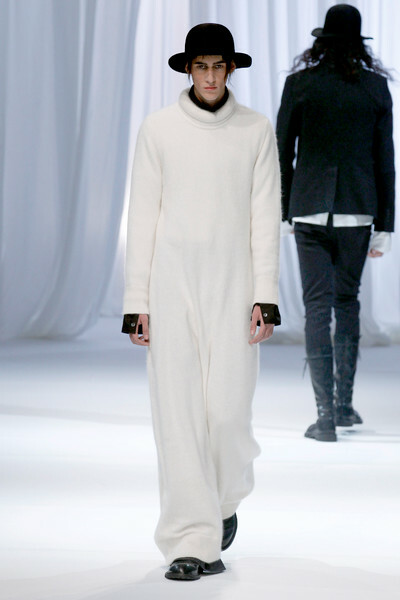 Ann Demeulemeester had an extra feminine touch this week. 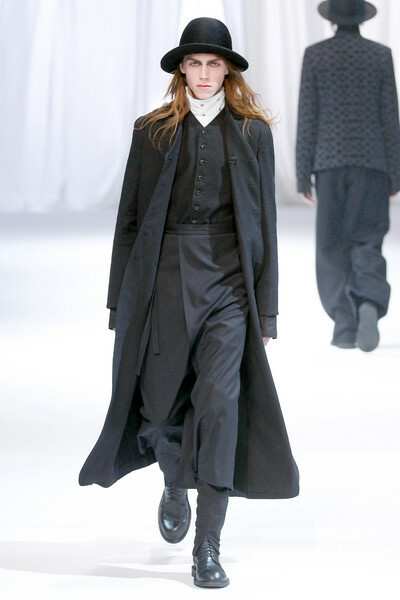 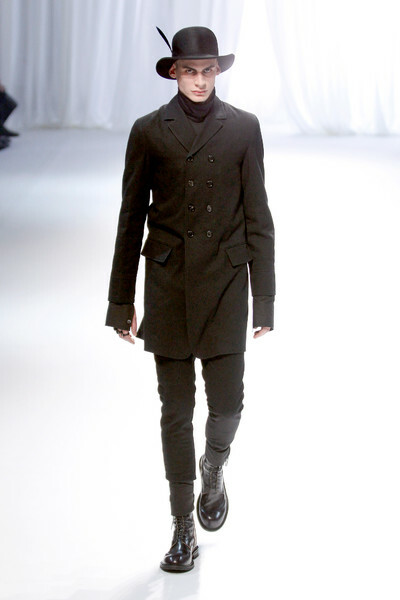 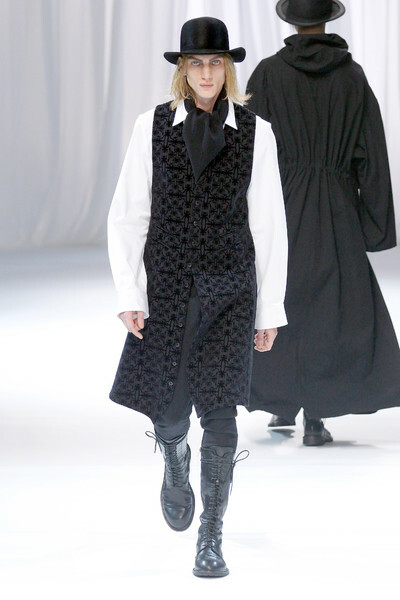 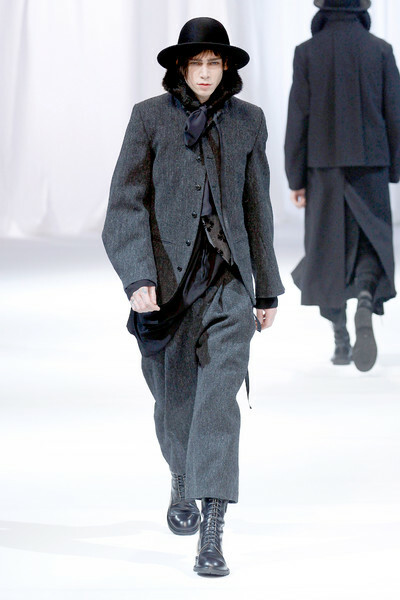 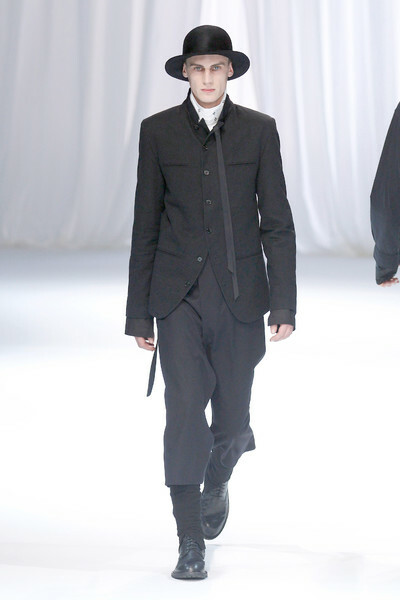 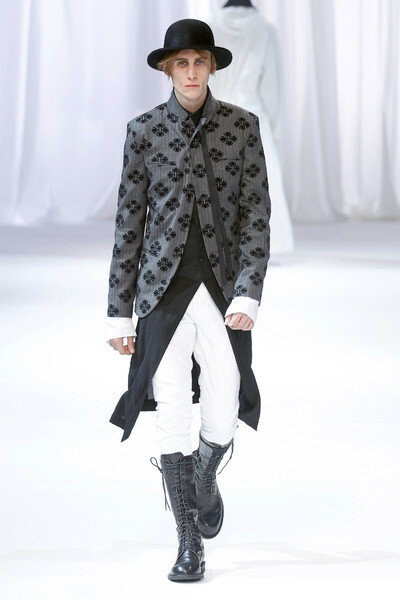 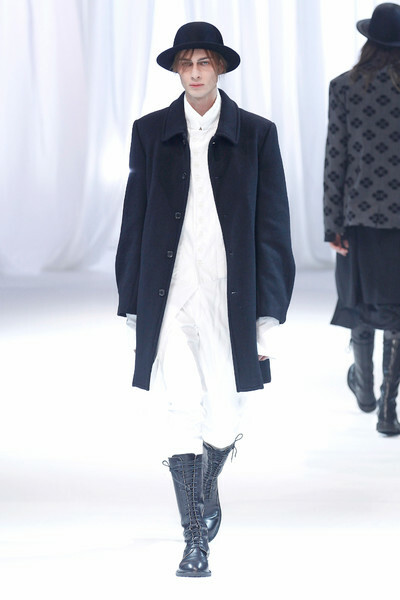 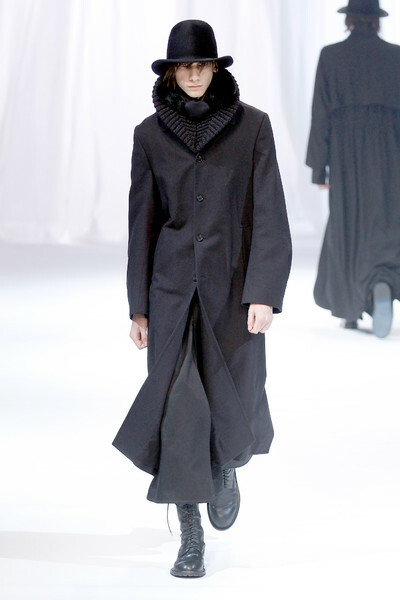 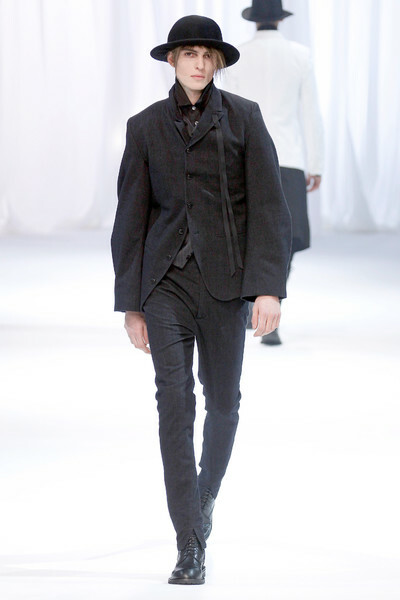 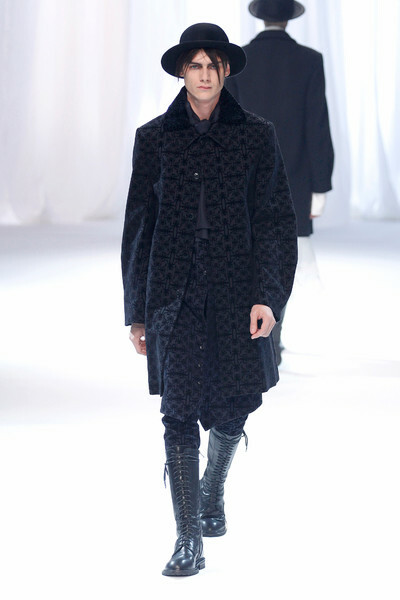 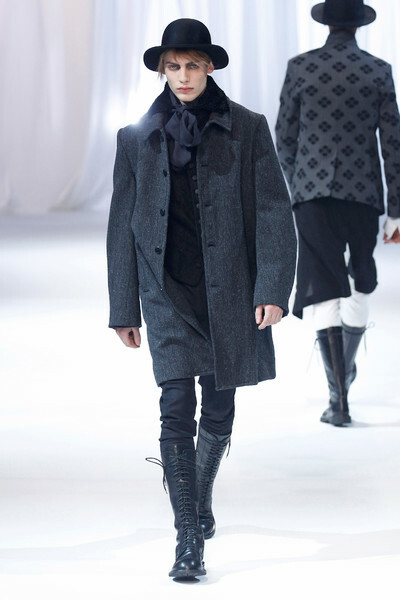 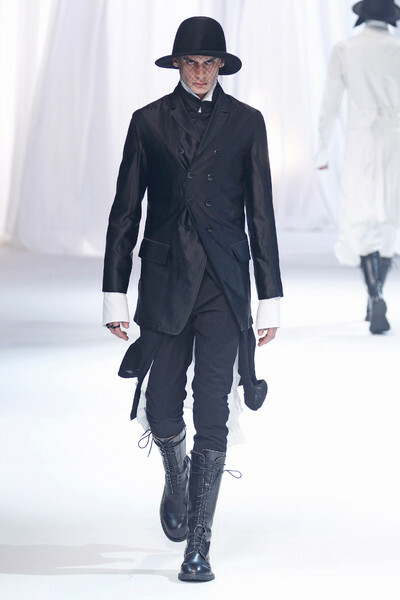 Besides long tops and dramatic floor length coats models wore bowler hats with netting and seemed to wear make-up. 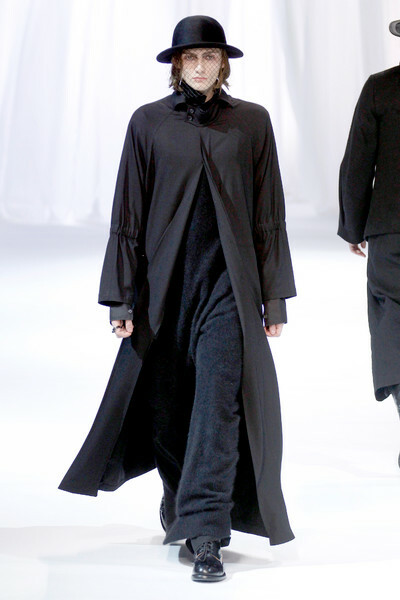 Done is her regular color palette of blacks and whites her full length sweaters, embroidered jackets and pants tucked into lace up boots almost felt like a series of Amish Ann-designs. 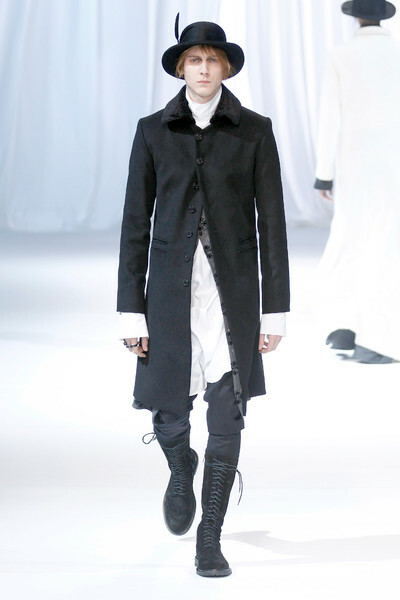 They didn’t appear like the most fun people to hang out with, yet dressed in such great layered pieces the mysterious models looked interesting enough to evoke a conversation.